Adult haircuts include a relaxing scalp massage, shampoo & conditioner, blow-dry & style, and an Aveda finishing touch ritual. *11 months to 12 years old. Botanical Therapy salon treatments give you luminous, healthy-looking hair. Breakthrough plant micro technology penetrates strands for intense moisture or repair with customized treatments to meet your personal needs—restoring balance to the ecosystem of your scalp and hair. Your hair will look healthier and shinier, leaving it soft and silky. Cost of hair service may vary depending upon length and fullness. Prices and services subject to change without notice. Price differences are based on the amount of time, difficulty or cost of providing the services. As a HeadMapping® salon, consulting with our guests prior to a first-time color is one of the most important steps in the process. We will listen and advise to determine correct procedures and a plan of action. During the consultation, images and pictures may be viewed to better understand the desired look. Prices do not include a blow-dry. "Yikes…got to cover these roots!" "Wow…my overall color looks dull!" "My hair looks brassy to me." "Real blonde and don’t have much time!" "Can I get low, mid and highlights?" Due to nature of Corrective Color, several steps and visits may be necessary. A corrective service is priced upon Consultation and utilizes the Headmapping® Color Menu for pricing. A standalone consultation appointment is required prior to any work being performed. 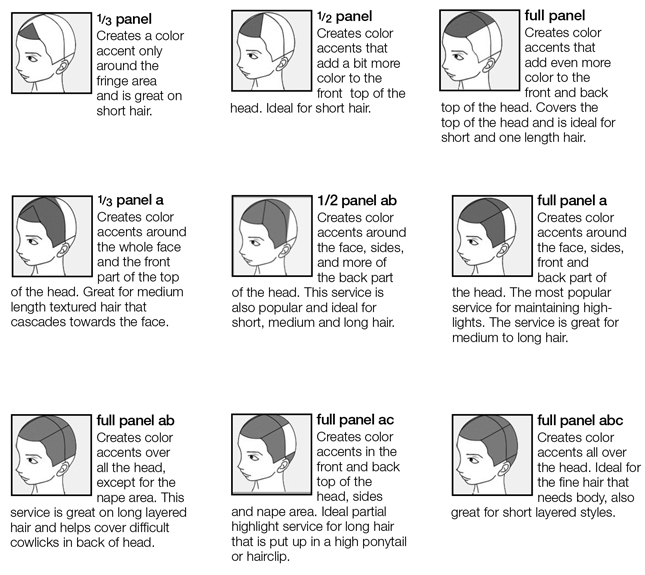 Cost of hair service may vary according to hair length and fullness of hair.